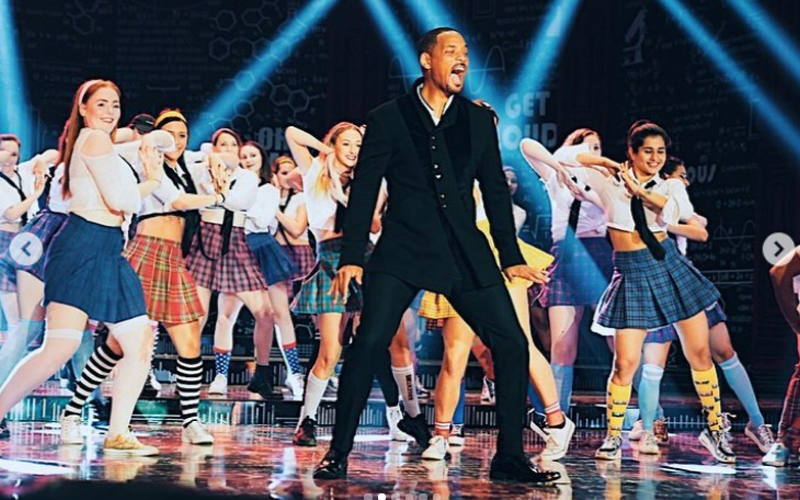 Will Smith on the sets of "Student of the Year 2"
After "Student of the Year" did quite well at the box office Karan Johar is gearing up for "Student of the Year 2" and this time it is going to be big as American actor Will Smith will be dancing to a special song. The sequel "Student of the Year 2" will feature Tiger Shroff, Ananya Pandey and Tara Sutaria. This film will be directed by Punit Malhotra. Will Smith who is in Mumbai visited the sets of the film and he also performed with the lead pair for a special dance number. The song has been choreographed by Remo D'Souza. The actor took to Instagram and shared a picture from the set and captioned it, “On Set in Bollywood!! Shout out to the Cast & Crew of Student of the Year 2. Thanx for Letting Me Play. :-) @westbrook @sadaoturner”. Tiger also shared the same picture on his Instagram and said, "Sharing the stage with one of the greatest entertainers in the world! The pleasure was all ours sir! #Repost @willsmith". The film is slated to release on 10th May 2019.